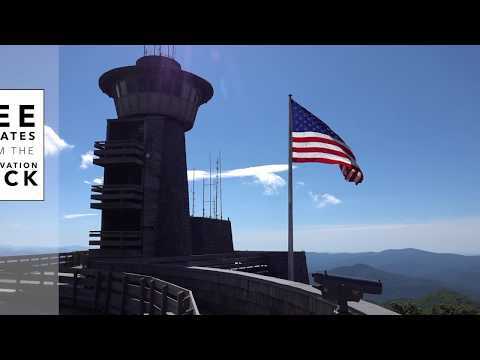 The Brasstown Bald Visitors Center sits atop Georgia's highest mountain at 4,784 feet above sea level. Surrounded by the Chattahoochee - Oconee National Forest, its cloud level observation deck offers stunning 360-degree views of the Southern Appalachian Mountains and valleys. On a clear day, one can see four states. The unique circular building is home to an 8,000 sq. ft. museum featuring interactive cultural and natural history exhibits. A short film about the dramatic weather and changing seasons at Brasstown Bald plays regularly in the mountain top theater. The summit can be accessed from the parking lot by shuttle service or hiking the half-mile Summit Trail. More hiking trails are also available for your enjoyment. There is a gift shop at the parking lot offering forest related merchandise, including locally made goods. A small fee is required for park entry and the shuttle bus. Enjoy picnicking, hiking, and scenic views. Gates to Brasstown Bald will be closed in inclement weather. Call before your visit to confirm that facilities are open and to confirm directions. Sometimes GPS devices can be inaccurate.